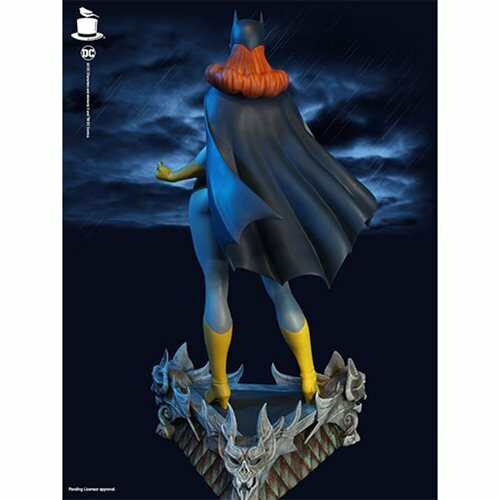 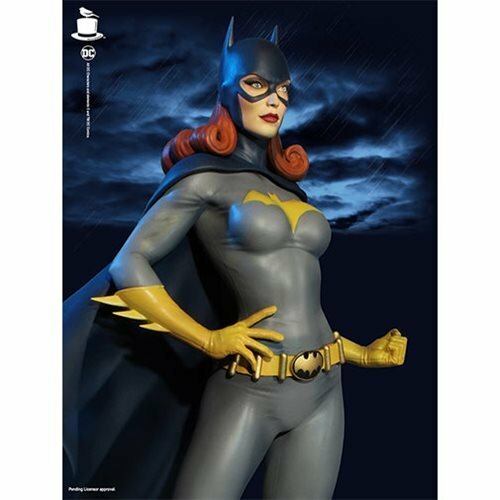 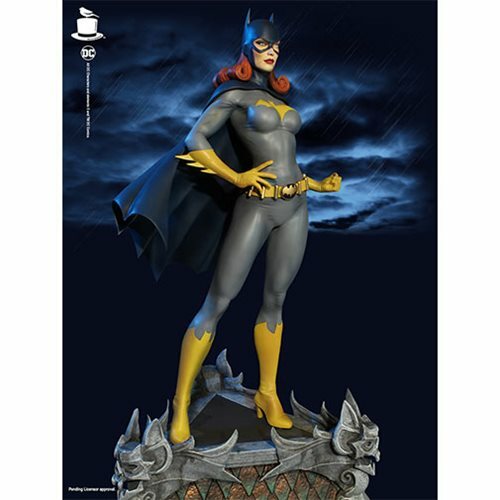 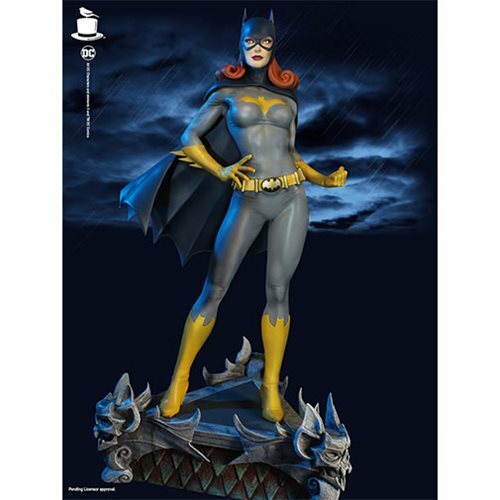 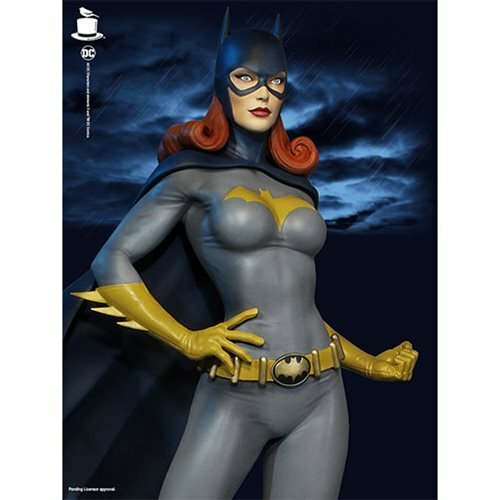 The Super Power Batgirl Maquette stands about 16-inches tall and features Barbara Gordon in her classic gray, yellow and dark blue outfit. 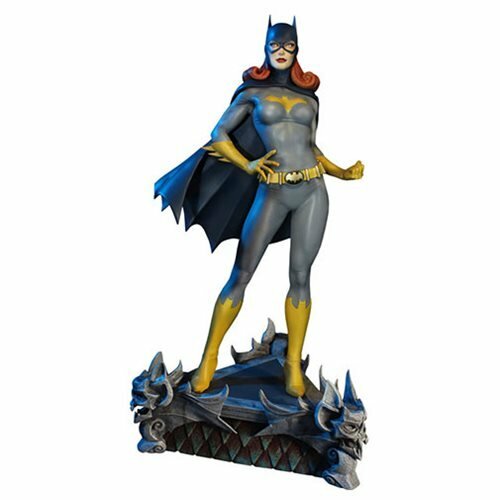 Batgirl stands atop her gargoyle display base. 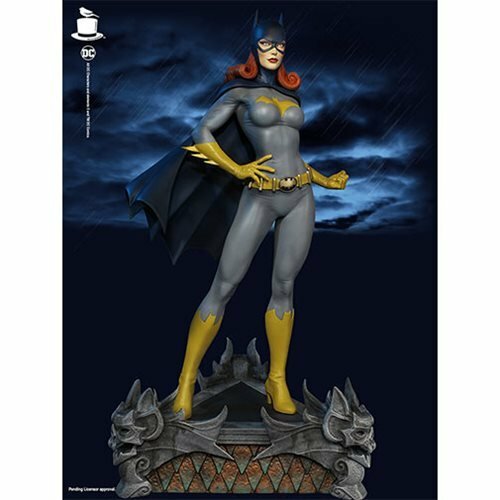 The statue mis made of poly resin and comes packaged in a closed box.